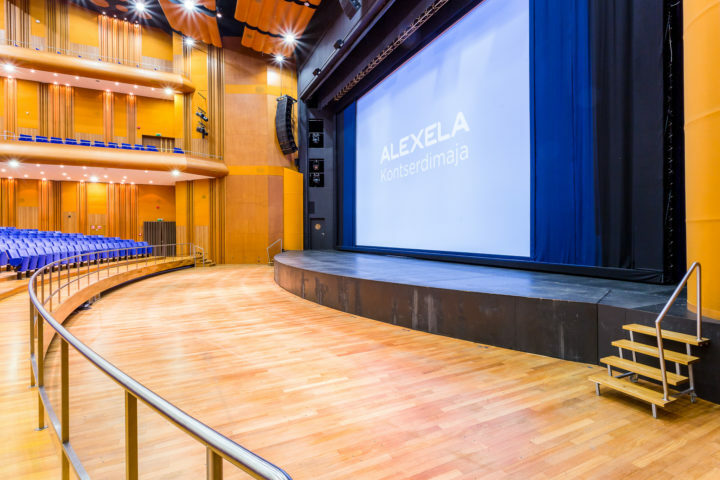 The construction of Alexela Concert Hall started in spring 2007 and October 2009 saw the grand opening of the new and modern concert venue. 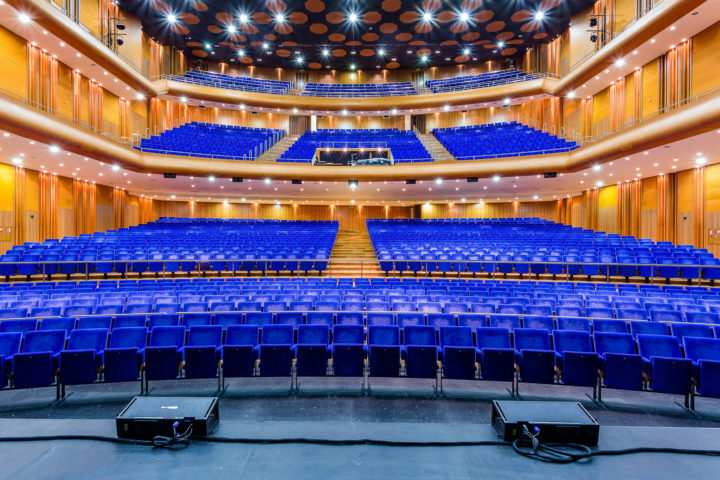 The presentable concert hall with excellent natural acoustics accommodates 1,829 seats as follows: 1,030 in the arena, 491 in the dress circle and 308 in the upper circle. 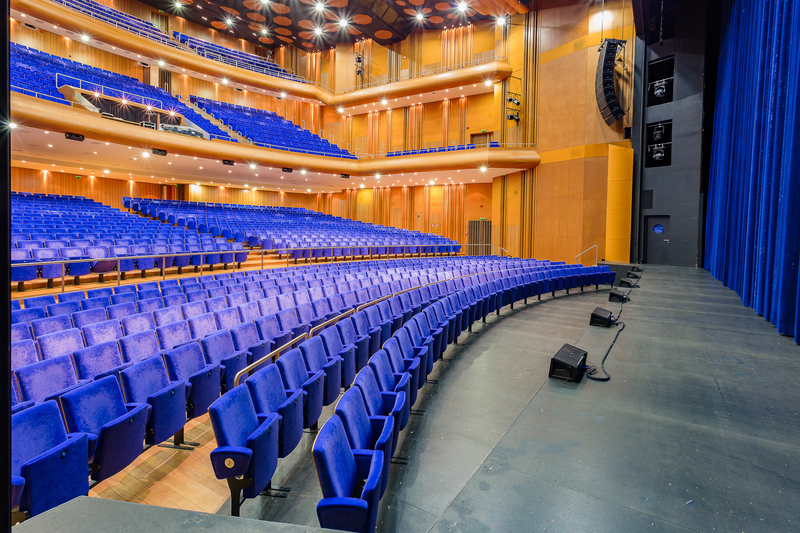 A certain amount of seats can be removed, which extends the range of events that can be organised in the hall. The stage with multifunctional equipment was designed taking into account the needs of various shows and performances. The stage equipment was delivered and installed by the French company Caire. the stage also has a black-and-white background horizon and 31 hand-operated bars for decorations. The stage curtain, which opens both horizontally and vertically, is 27 m long and weighs 2,000 kg. 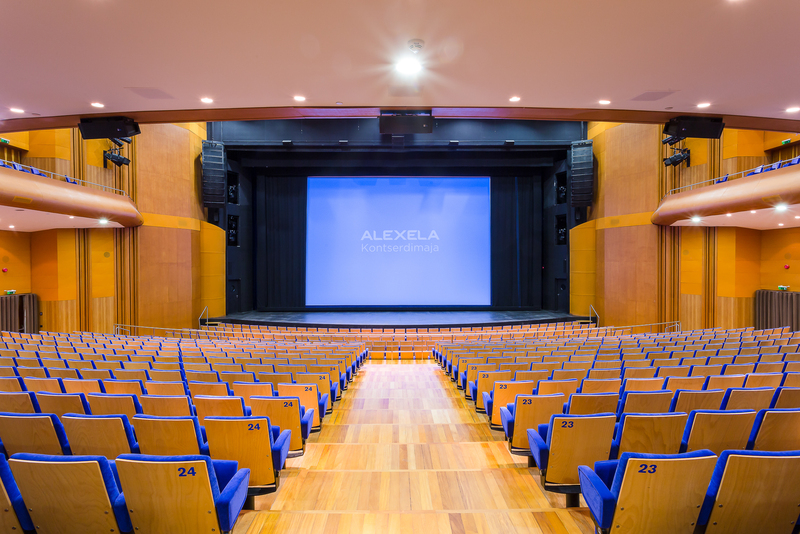 In front of the stage there is an arced proscenium, which can also serve as the floor. If the proscenium is lowered down, the orchestra pit will open. It takes up orchestras comprising of up to 75 musicians. For stage lighting, there are two motorised 20-metre-long light frames with lift force of 2,000 kg above the stage. The ceiling is equipped with a noise-free glass light-bridge of a very high load capacity. 240 control channels and a professional digitally operated lighting equipment park ensure high-quality lighting solutions. 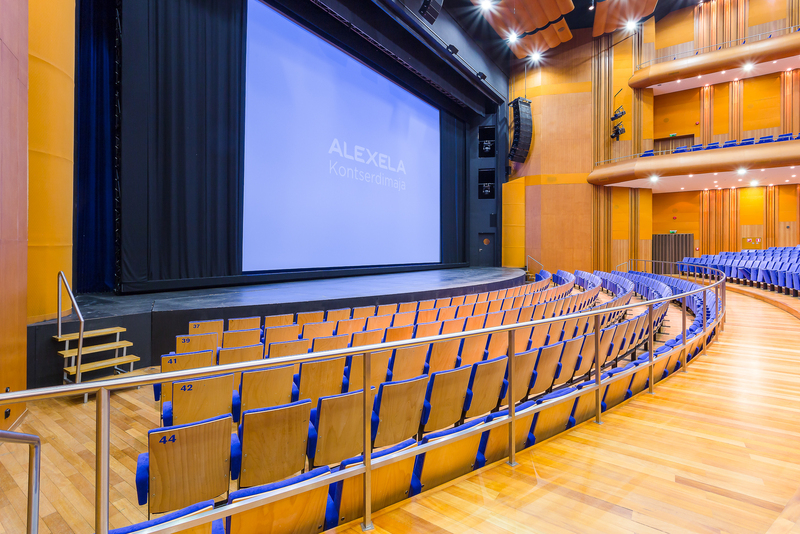 Special attention has been paid to the hall’s acoustics which allows a versatile use to cater to different performers and events. In cooperation with experts of Meyer Sound Laboratories, a stationary amplification system based on MICA and M’elodie speaker solution has been installed. 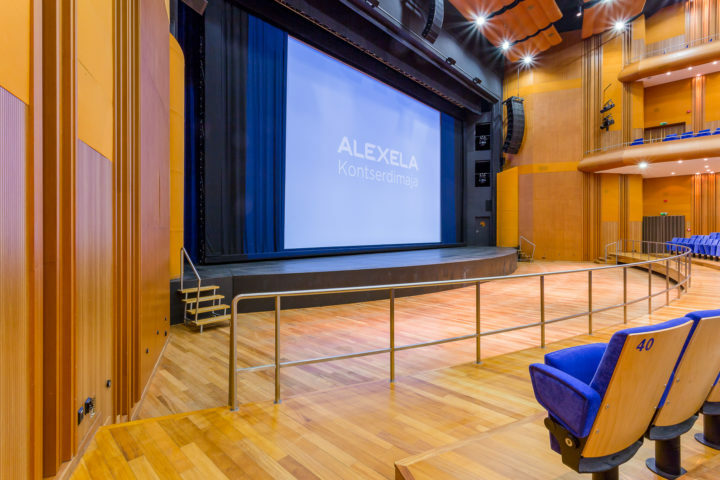 For acoustic events, the hall is equipped with a unique electroacoustic system “Meyer Sound’s Constellation”. Sound engineers have a 72-channel digital mixer from the company Digidesign at their disposal. Pro Tools recording studio has ideal conditions for making high-quality sound recordings.